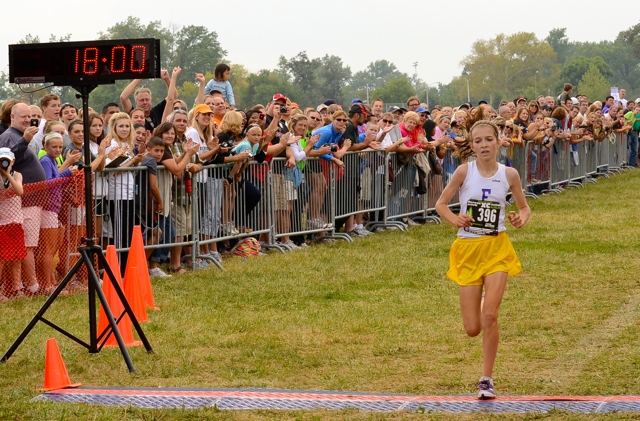 5 guys and 6 girls took advantage of the fast conditions at Forest Park to finish under previous course record times. 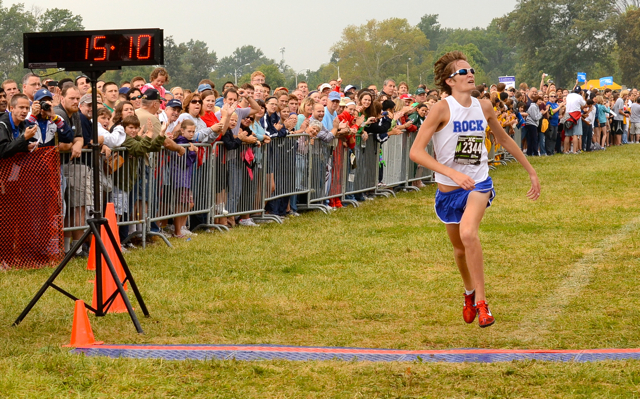 Zach Herriott of Rockhurst (15:10) and Hannah Long of Eureka (18:00) shattered records. Extensive coverage with photos and interviews from all the JV and Varsity races throughout the day as well as feature stories from Craig Martin. The Rock Bridge boys won the team led by Caleb Wiflong who finished second with an unoffical time of 15:18. Rockhurst finished second with 124 points. Other winners included Sheldon Keence (16:15) of St. Charles West in the Varsity Boys White Divison, Kaitlyn Fischer (19:16) in the Varsity Girls White, Monica Lingbeck (16:54 4K) in the JV Girls White Division, Nate Lincoln (17:58) of Cape Notre Dame in the JV Boys White Division, and Sarah Fogarty (16:19 4K) of Ft. Zumalt West in the JV Girls Green Division.